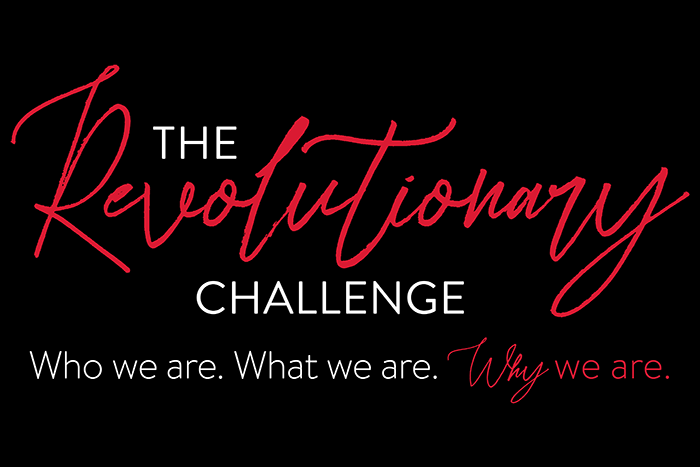 Dickinson College has officially launched the Revolutionary Challenge, a yearlong effort to harness the power of the Dickinson community and imagine a bold future. Through this new initiative, the college invites alumni, parents, faculty, staff and students to offer their revolutionary ideas for the future of Dickinson’s useful liberal-arts education and for the betterment of the world. "Born from the American Revolution, Dickinson has always been about big ideas and bold deeds that make a real and lasting impact on the broader world," said Dickinson President Margee Ensign, who announced the Revolutionary Challenge Tuesday, April 2. "As a signer of the Declaration of Independence, Benjamin Rush founded our college to help America thrive, to ensure this experiment in democracy would flourish. It was a revolutionary concept then, and it still is today." Now through Oct. 4, 2019, the college is inviting community members to submit proposals for their revolutionary ideas for the future of Dickinson's useful liberal-arts education and how that education can address emerging challenges. This fall, the proposals will be posted online for alumni, parents, faculty, staff and students to rate and comment on, after which a new President’s Panel on Innovation, together with the Board of Trustees, will select the proposals the college will implement. "Dickinsonians cross disciplines, think differently and act boldly, so who better than our community to help us innovate?" said Ensign. "Join us in this revolutionary moment as we imagine the Dickinson education that will benefit future generations!"